CNR (National Research Council) is the largest research institution in Italy. CNR is organized in specialized research Institutes which work in all fields of research; four have headquarters or branches in Trieste: IOM (IOM, Istituto Officina dei Materiali, HQ and a branch in Trieste), IC (Istituto di Cristallografia, a branch in Trieste), ISM (Istituto di Struttura della Materia, a branch in Trieste), ISMAR (Istituto di Scienze Marine, a branch in Trieste). The CNR Institutes IOM and ISM in Trieste study basic and time dependent processes in low density and low dimensionality systems, develop and characterize innovative materials and devices at the micro- and nano-scale. To this aim, they use a set of tools and methodologies like theoretical modelling, atom-by-atom synthesis, fine analysis, materials and device functionalization. The scientific focus is on hybrid materials (inorganic, organic, biologic), superconductivity, spintronics (spin transport electronics, exploiting the magnetic moment of the electron), sub-microscopic energy transportation and storage, fundamental properties of structures like DNA or proteins, development of devices and sensors for biomedical applications. The Institutes manage a great share of CNR activities at the Italian and European large scale research infrastructures in the field of matter characterization. The Institute operates 10 beamlines at the Elettra laboratory as well as two neutron and a x-ray beamline at the ILL and the ESRF laboratories, respectively, located inside the scientific hub of Grenoble, France. Microscopic characterization of materials and systems is carried out with different microscopy techniques like TEM, SEM and STM. New materials synthesis is based on growth technologies via atomic beam deposition, including extremely high-purity semiconductor deposition, and the manufacturing of devices is based on nano- and micro-structuring through lithography. Atomic-level numerical modeling applied to advanced materials, biological systems and physics of highly correlated systems. There is also a strong commitment to the development of new computational methodologies for the general use of the international scientific community (e.g. Quantum Espresso) as well as of innovative instrumentation and methodologies for fine analysis of matter. IC is focused on the biochemical, biophysical, functional and structural characterization of proteins of therapeutic and biotechnological relevance as well as on the physical properties of nanostructured materials, semiconductors for bio - and optoelectronic applications, and the rheology of lipid-based matrices, hydro-gels and emulsions relevant to food and drug delivery systems. 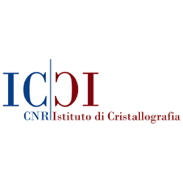 IC shares, in partnership with Sincrotrone Trieste SCpA, the X-ray diffraction beamline XRD1 at ELETTRA and the state of the art highly automated platforms dedicated to protein crystallization and the automatic visualization and recording of the crystallization experiments. 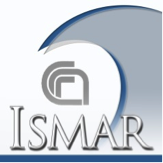 ISMAR in Trieste is focused on studies on chemical and physical oceanography, with a particular attention to the interactions between atmosphere and sea. These studies are carried out in the Mediterranean and Polar regions. Studies on environmental chemistry include the biogeochemistry of major elements (C, N, Si, P), as well as inorganic carbon system in the sea and ocean acidification. Physical studies include hydrology, water mass circulation from local to basin scales, sea level variability and effects of meteorological conditions on marine environment. ISMAR Trieste manages a meteo-marine platform (PALOMA) located in the center of the Gulf of Trieste and a network of meteorological and tide-gauge stations, for the acquisition of real-time marine and atmospheric data. Post docs and fixed term positions are open when external funds are available (roughly 10 new positions per year) CNR Institutes also regularly finances PhD positions at Trieste University and SISSA that require the students to carry out research at their own labs. They accept European students through the ERASMUS Student Placement Program. Internships for thesis in collaboration to the University of Trieste, Scuola Normale Superiore di Pisa, University of Milan and other Italian Universities are available. The CNR Institutes in Trieste have a very extensive network of collaborations with Universities and research centers both in Europe and outside. We host researchers and professors, in addition to students and postdocs, from many prestigious international Institutions for extended periods to carry out research in our labs. A few of the most relevant: CEA - Leti Grenoble FR: Charles University - Faculty of Mathematics and Physics Prague CZ; Columbia University New York NY USA; Departamento De Fisica De Materiales, Universidad Del Pais Vasco, SP; Ecole Polytechnique Federale De Lausanne Lausanne CH; European Synchrotron Radiation Facility (ESRF) Grenoble FR; Institut Max Von Laue - Paul Langevin (ILL) Grenoble FR; Lawrence Berkeley National Laboratory CA USA; Princeton University USA; Universities of Ljubljana and Nova Gorica SLO; Institute of Physics, Belgrade (Serbia); Physics Department, Uppsala University (Sweden); Physics Department, University of Freiburg (Germany); Solaris, Jagiellonian University, Krakow (Poland), Hungarian Academy of Sciences; Bulgarian Academy of Sciences; National Research Centre “Kurchatov Institute”, Moscow (RUS); Shubnikov Institute of Crystallography of Russian Academy of Sciences, Moscow (RUS); National Chemistry Institute, Ljubljana (SLO); Institut Français de Recherche pour l'Exploitation de la Mer (IFREMER) FR; Centre National de la Recherche Scientifique (CNRS) FR; Consejo Superior de Investigaciones Cientificas (CSIC) ES; Plataforma Oceánica de Canarias (PLOCAN), ES; Hellenic Centre for Marine Research (HCMR) EL; Norwegian Institute for Water Research (NIVA) NO; Finnish Environment Institute (SIKE) FL; Natural Environment Research Council (NERC) UK.